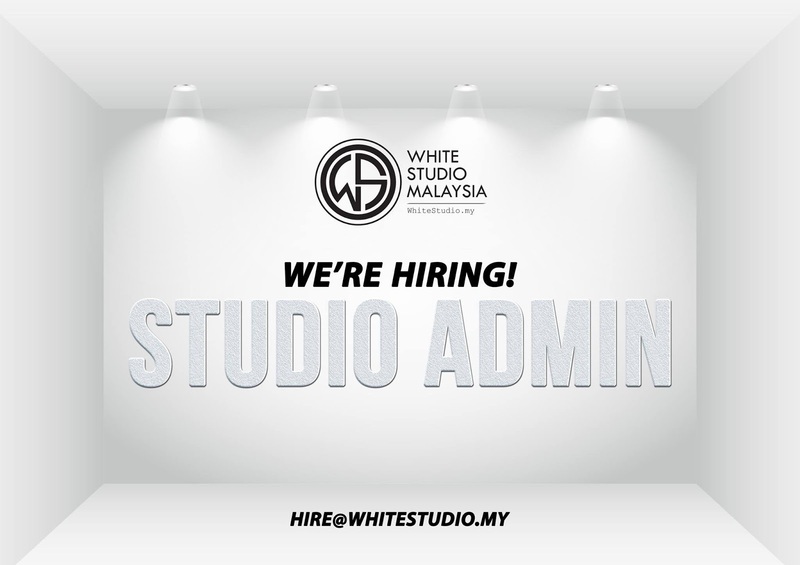 White Studio Malaysia is Hiring! We’re looking for STUDIO ADMIN. ▪ Candidate must possess at least a SPM, Diploma, or Bachelor’s Degree. ▪ Familiar with social media such as Facebook, Instagram and blog. ▪ Can write or speak in Bahasa and English. ▪ Fresh graduates are welcome to apply. ▪ Can be multi-task and work under pressure. ▪ Make sure studio is always clean and ready to use. ▪ Provide general administrative support, preparation of invoices, quotations, payment vouchers, bank transactions bills and expenses. ▪ To perform any task assigned by the Director as and when required. ▪ Can work independently and interact with all parties. ▪ Can work over the weekend and late night. ▪ Willing to travel (once we have our second studio). ▪ Submit your resume/CV to hire@whitestudio.my before 30th November 2016. ▪Selected candidate have to come for interview.